Mark Lund on Money is our monthly newsletter. Those who benefit the most are individuals who are saving for retirement and employers sponsoring a retirement savings plan. 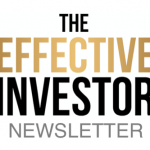 Sign up today to get monthly tax, investing, and fiduciary tips from the pros. PLEASE NOTE: We respect your e-mail privacy. We do not sell or rent our electronic mailing list to anyone at anytime for any reason. We hate spam as much as you do. You may remove yourself from the list anytime you choose with the unsubscribe link at the bottom of every newsletter. We treat our subscribers like friends. We welcome you to join us! Use the form below to get signed up.